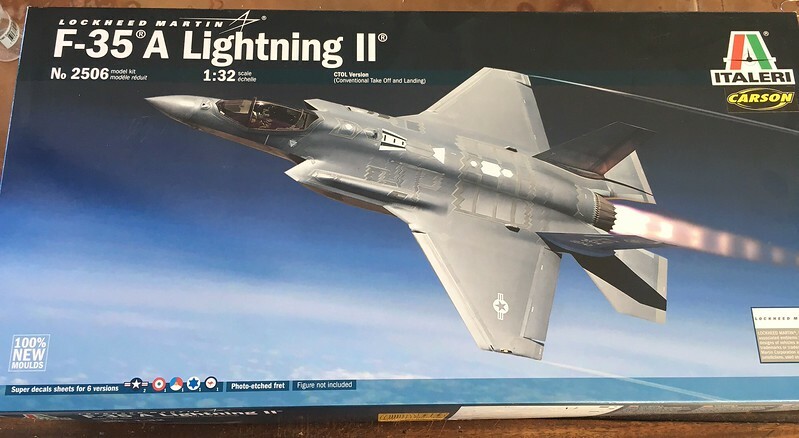 When I saw last Friday that the next GB would be in honor of USAF 70th birthday, I thought I would build the latest addition to the family, the F-35A. 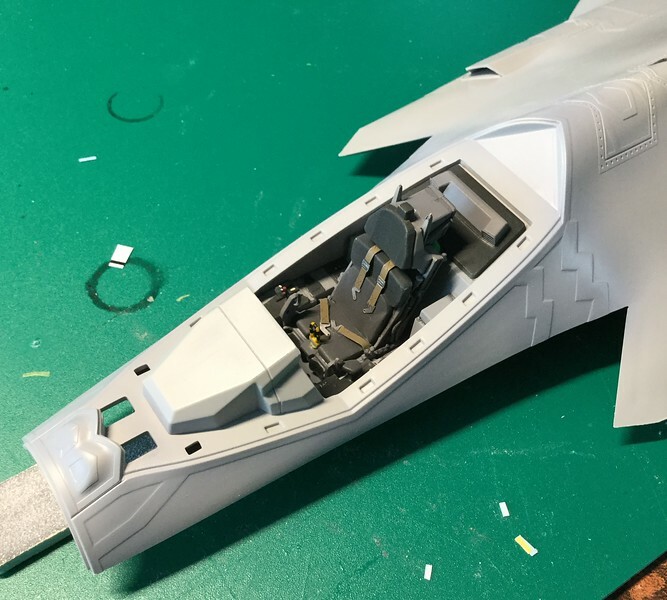 This one will be built OOB with the exception of Furball Aero decals to portray a Nellis based bird. I have actually started on Saturday but I am obviously nowhere near the 25% mark. 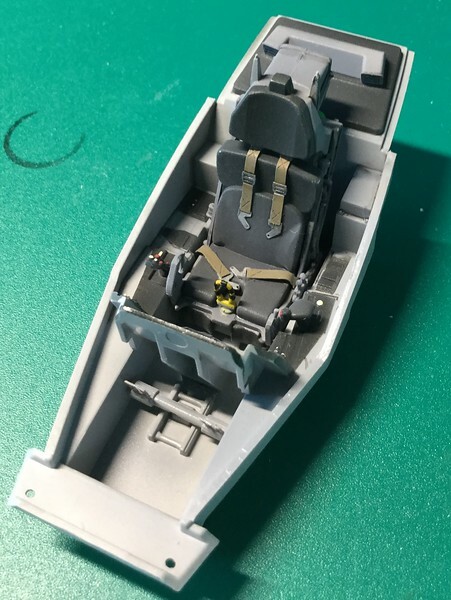 I have so far assembled the engine and the cockpit. 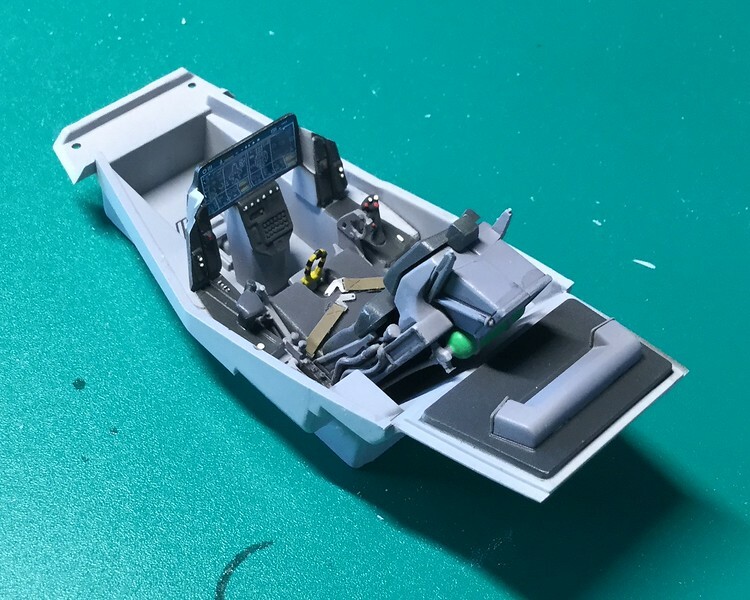 I am still debating whether to pose the cockpit open or closed but I am leaning towards closed, purely for aesthetic reason. I will not install the pylons and will display the internal bay open with the ordnance provided. I will wait for the F-35b to build a Marine bird with all the pylons installed and fully loaded. I will use Mr.Paint colors and have glass varnish for this build. This kit should be awesome indeed. Here are some pictures of where I stand. Cockpit is finished. It is a bit spartan but It looks the part. I will however most likely have the canopy closed but I will try to mock up both configuration to see what I like the most. I have also finished the weapons bays. There are some difficult to reach sink mark in there but once the ordnance is installed they should be mostly hidden. 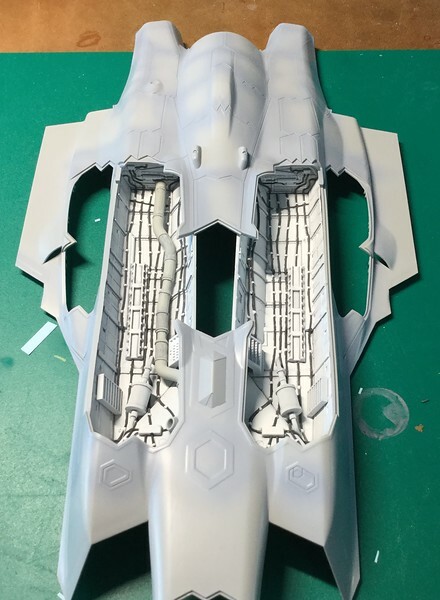 The fit of the cockpit and the weapons bay in their respective part of fuselage is very good (only dry fitted in the pictures). 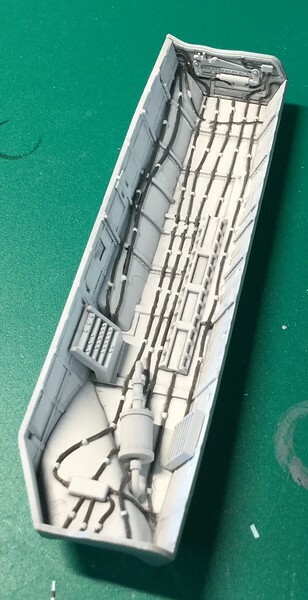 I am actually thinking of painting the fuselage before glueing the cockpit, weapons bays and wheel bays to avoid masking them later on. I am off for two weeks of vacation with my wife and kids starting Saturday so there will be no progress on this build for a while, but I am happy to have made a dent. Thanks for following this build. A small start is yet a great start. The cockpit needs just some basic weathering, in my opinion. BTW you may know my A & B -versions, but for just in case: http://forum.largescaleplanes.com/index.php?showtopic=62593 ) Hope it will suit you as an inspiration. Cheerss! Will follow your build, looking forward to see how it builds up. For the most part, it looks simple, the gear wells and weapons bays do look pretty complex, though. Yup!! Not much going on in the pit of these birds, something i'm ok with. Don, who can't detail cockpits worth a darn!! Looks good David ... the painting in the weapons bays is spot on. Small update. I decided to close the cockpit. 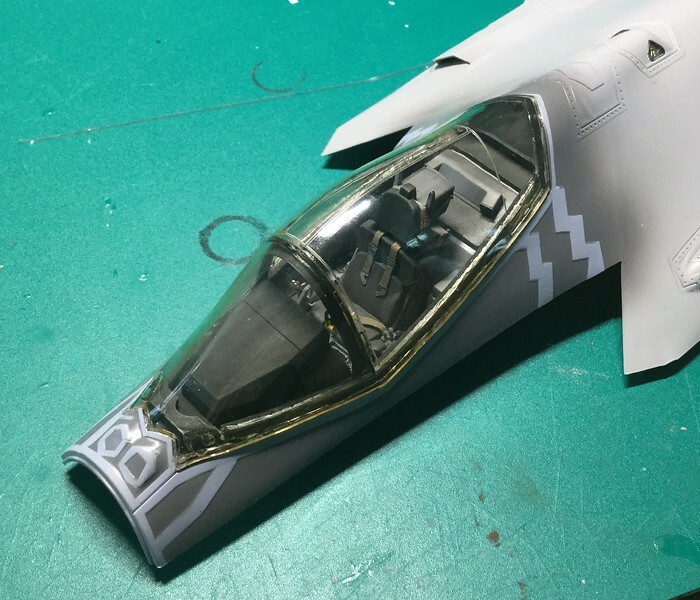 I have also tried the MRP paint for the F-35, which I think is spot on. I have not yet used the have glass varnish that goes with it. The lighter color is light ghost grey. 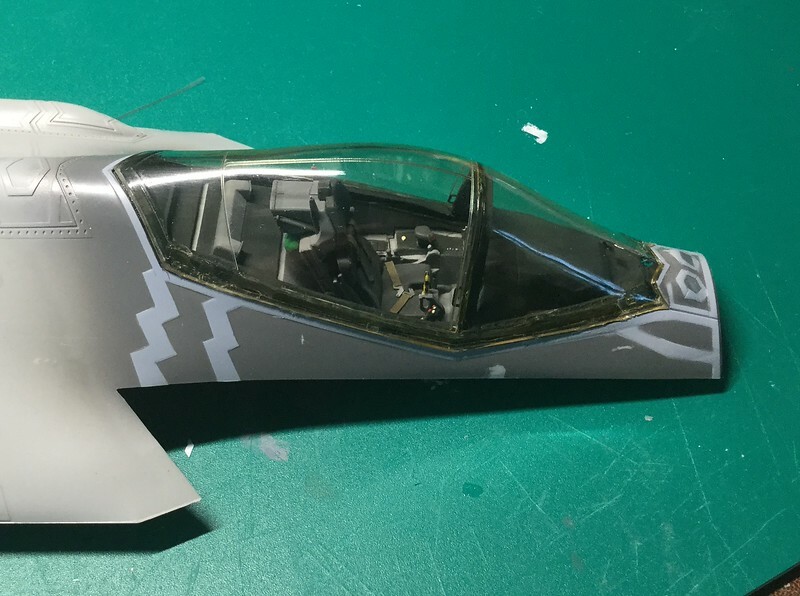 My idea is to paint the two colors and after unmasking the light color paint the entire airframe with the diluted dark shade to darken the light ghost grey and blend the two colors. We will see. The fit of the cockpit glass is just so so, so there will be need to sand and some filler to blend the cockpit glass. I first need to mask it and then proceed. More progress soon hopefully. David, by chance have you worked on the exhaust nozzle yet? I'm at that point on mine and struggling with the correct colors. Thought you may have some advice.